Established in 1989, Sam's beginnings as a violin maker began with his first violin shop in Windsor, Canada. Since opening his first production facility in 1993, Sam has developed the talents of Suzhou's best woodworkers to produce fine stringed instruments. Now with a large staff of makers and varnishers, Sam's philosophy carries forward to a new generation of violin makers. Sam believes in hard work and dedication to the tradition of violin making, and adheres to traditional methods and materials throughout the violin making process. Sam's goal is to make high quality instruments available to players of all levels, from student to professional. This model is a Montagnana copy with bigger upper and lower bouts. It also has a deeper ribs. Easy to play and it produces a naturally big sound. The Gofriller has two select models. A SC300 with moderately flamed maple and a SC800 with heavily flamed selected maple. There is also a 7/8 sized Gofriller with 26 3/8" string length in moderately flamed maple. 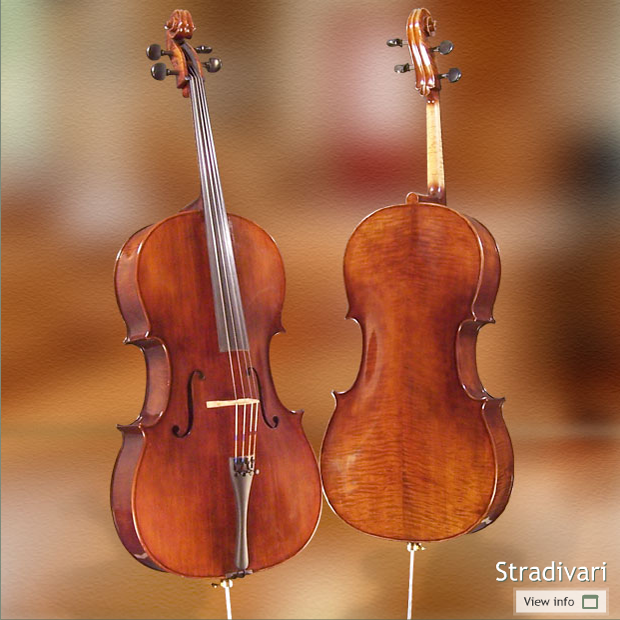 This is a maple version of the Stradivari shape. 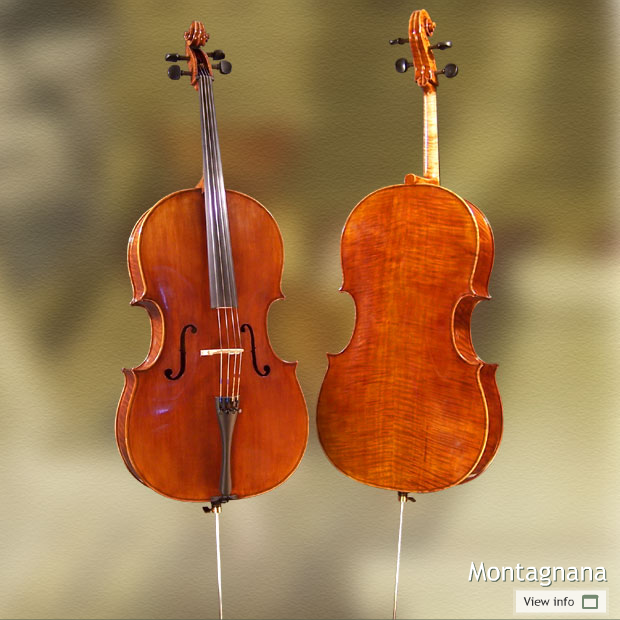 This cello has three models; SC200, SC300 and SC800. SC200 generally has little or no flame. 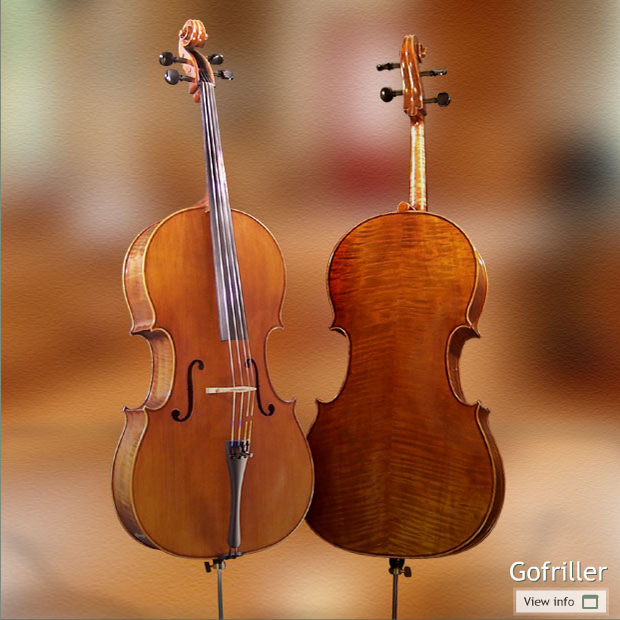 The cello is made with the same care and expert setup as the Gofriller. 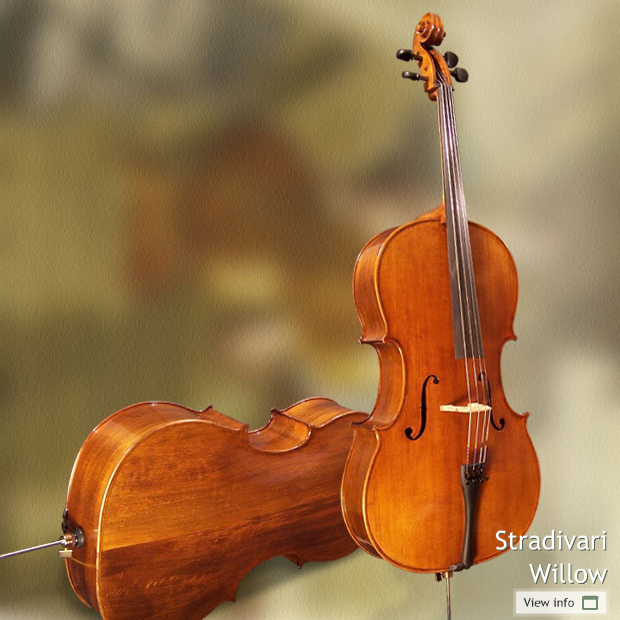 This is a Stradivari made from willow wood. It has a naturally warm and mellow tone compared to its maple counterpart. Although willow wood doesn't have flamed appearance compared to maple, it has distinct grains and lines running across the wood. It is also very light in comparison to maple. Willow is said to been used for the Stradivarious instruments for internal wood and parts. Budget range cellos available as well. Please contact me for details.